We are looking for volunteers to do FREE to the public demonstrations as well as paid workshops. They are to coincide with our mission of engaging the community as well as being non-toxic. All time slots are: between 10am and 5pm Wed-Sat, or 6pm-9pm Wed-Fri. No Sun, Mon, or Tue classes. Also, please avoid all major holidays & holiday weekends. PCNJ has many materials available for the use of all members and faculty. Proposed additional inks, modifiers, and equipment may be purchased if they are necessary to the technique instructed. 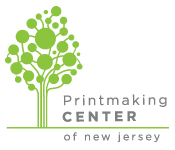 Please see a comprehensive list of materials/equipment provided by PCNJ at http://www.printnj.org/facilities.html and formulate the needs for each proposed class. This should include inks, paper, plates, brayers/rollers, etc, as well as additional needs specific to the course. From this list, PCNJ will determine the materials supplied/purchased by the studio, as well as those to be purchased by the students. A material fee, calculated by PCNJ, will be added to each course. The course description should include not only techniques taught, but also the goal of the class; this may entail skills learned, work produced, etc. Proposed dates, times: The Printmaking Center typically runs one class per day, Wednesday through Saturday. We request your proposal include 3 available dates and times (refer to dates listed above). If your proposal is accepted, your class will be scheduled for any or all of these dates. Please note if your proposed class warrants multiple days of instruction (consecutive or weekly).